I am a Watch Commander at Binley Fire Station in Coventry. I am running the marathon for a few reasons: firstly, for the personal challenge, both mentally and physically, in one of the greatest running events in the world. 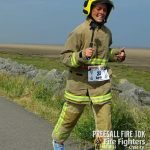 I’ve run a marathon for charity before and I got the bug, so I wanted to raise money for The Fire Fighters Charity. I’ve not used the services myself, but I know of many friends and colleagues who have, and I wanted to do my bit for our charity. In 2014 we lost our childhood home to a housefire caused by an electrical fault. The efficiency and compassion of the firefighters was second to none, helping us retrieve what belongings we could. A fire isn’t something you plan for, and you rely on the bravery and professionalism of the fire service to not only save lives, but also our life’s possessions. Knowing The Fire Fighters Charity is there gives me reassurance the same help and support is available to them, should they ever need it. I’m the only Scottish firefighter taking part, so I am definitely feeling the pressure, but it’s nice to represent our service. 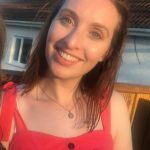 I’ve already doubled my initial fundraising target of £2,000, because I was inspired to raise funds for the Charity after seeing how my uncle was aided back to work after breaking his ankle. Squeezing in the training is hard, as I have a young family and work on-call, but my family and workmates have been so supportive. 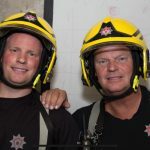 We wanted to run the marathon as a father and son duo whilst both serving in Hampshire Fire and Rescue in order to raise as much money for The Fire Fighters Charity that we could. 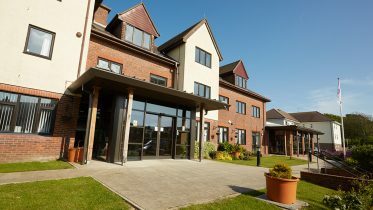 Andy is fortunate enough to have experienced the facilities that are available and wanted to ensure these would be able to continue for years to come for serving and retired personnel. We have had great fun so far with our fundraising events and cannot thank our friends, families and colleagues at Eastleigh Fire Station enough for their help and support so far. We are very excited for the big day and training is going well, plenty of shorter events completed and we are even starting to get a collection of medals at home. My husband is a firefighter with Humberside FRS and was supported by the Charity in the past with recovery from injury and a hip replacement. 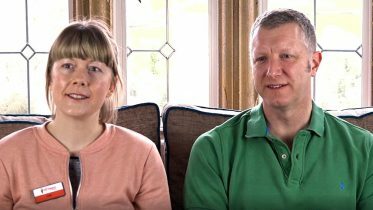 When he was diagnosed with depression and PTSD in October 2017, the Charity once again stepped off the mark to offer him support, therapy, and most of all hope. I’m a firefighter with Blue Watch at Stevenage, but I used to be a Royal Marine commando, so I am used to physical challenges and I am really looking forward to this one. 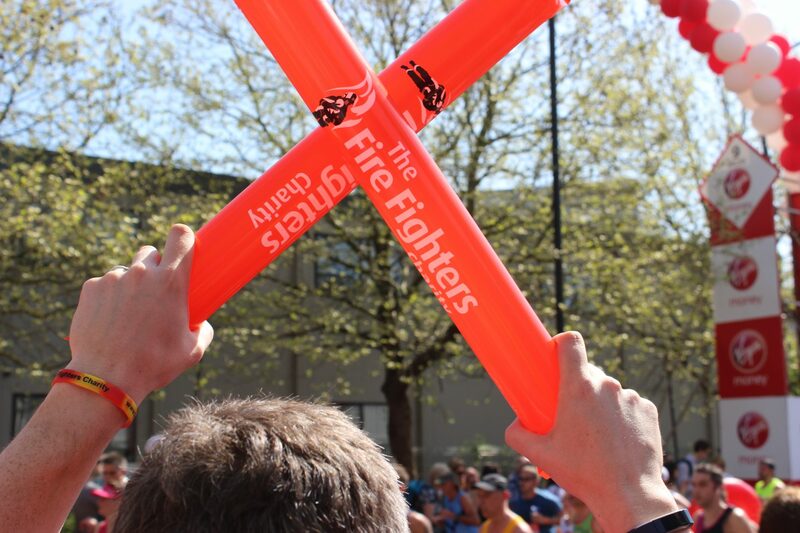 I’m running for the Charity because I know of the support they give to fire personnel and their families. I’ve seen it at Herts FRS for past and present firefighters with both physical and mental issues, so I am keen to raise as much money as possible for this very good cause. 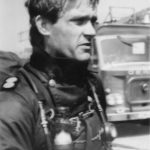 I joined the fire service at 19 and served 31 years in West Midlands FRS. I retired 16 years ago, but both my sons are still firefighters in the West Midlands. During my career and retirement I have become aware of the benefits that The Fire Fighters Charity has for serving members, retirees and their families. Running the London marathon aged 66 is a great challenge and I feel privileged to have this opportunity to raise money on behalf of the charity. 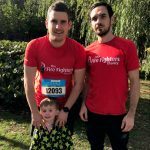 I am proudly running the London Marathon for The Fire Fighters Charity, as I’ve had friends who have had fantastic support with recovery from injury and illness. I also think with mental health becoming more of an apparent problem for us firefighters, it’s important we look after those who look after us. 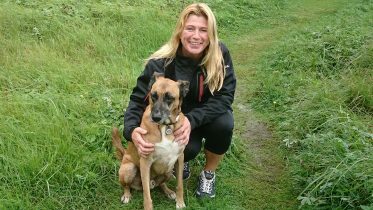 I am getting more nervous about the marathon, as having two young children my time to train is limited, but I am hoping I come good on the day! 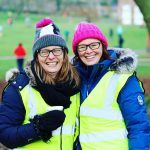 Running the Marathon has been an ambition of mine for a while now, and to be able to do it for an organisation that underpins our moral values is an amazing opportunity. I know several firefighters and they are some of the most morally upstanding people I’ve ever met, so to do this knowing it will be able to help them if and when they need it is a brilliant thing. 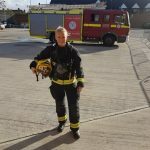 I joined the Devon and Somerset Fire and Rescue Service in 2017, having worked for the NHS before this as a rehabilitation specialist in pain management and rheumatology. 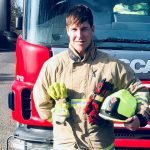 I wanted to take on the London Marathon for The Fire Fighters Charity to say thank you for making my boyhood career dreams come true, and because I’m so aware of the importance of physical and mental wellbeing on people’s health. When my firefighter Dad crossed the London Marathon finish line in 2001, I vividly remember saying, nine years old, that one day I would run the marathon and beat his time of 4 hours and 49 minutes. 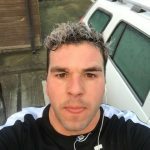 Not only have I followed his footsteps to become a firefighter as well, but I am going to be taking part in the marathon raising funds for The Fire Fighters Charity. I’m an operational firefighter, being both wholetime at Lancaster and on-call at Preesall. 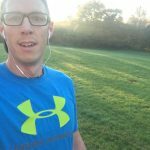 Running is how I spend my spare time; London will be my 21st marathon, so as you might imagine after so many races, the training comes naturally to me. 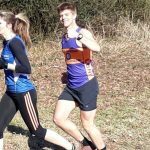 So I decided to shake things up a bit; I recently organised a 10km race (to help with fundraising) and ran it in full PPE. It was difficult! But I like difficult, so I decided this would be how I run London marathon. I’ve seen four colleagues use The Fire Fighters Charity in the last few years, so decided it was time to pay something back. 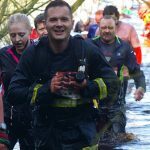 I’ve always wanted to run the London Marathon and what better excuse is there to do it than to support The Fire Fighters Charity at the same time? I’ve done a few previous events, but this is my next big challenge. I would also like to see more of GMFRS contributing to the Charity and taking part in more events, so I hope that seeing me might inspire others to do the same, getting involved with either this event or others in the future. Are you going to be at the Virgin Money London Marathon yourself? Make sure you find us and say hello, and don’t forget to cheer on our amazing runners.